This Garlic Butter Recipe for Steak will boost the flavor of any meal. Garlic is a wonderful ingredient, and although buying it “minced” in a jar can seem like the easiest option, the flavor just isn’t the same. Replace the butter in our Buttery Cauliflower Mash with a little Garlic Butter Recipe for Steak to create a delicious garlic-y side dish that will tantalize your taste buds. Try our Caramelized Onion Butter? What about our tasty Pesto Butter? They’re both delicious and great melted over a succulent grilled steak. Our garlic butter recipe for steak makes 8 serves, 1 serve is 1 tablespoon. Store it in the fridge for up to 3 weeks or it can be stored in the freezer for up to 3 months. 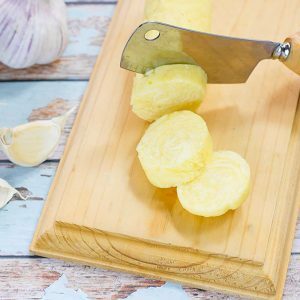 How to make Garlic Compound Butter. 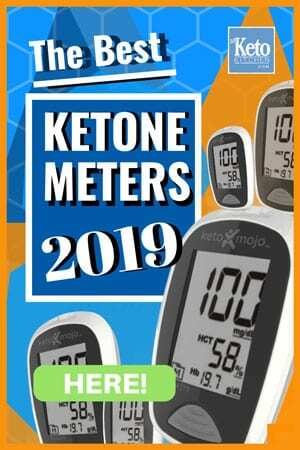 This easy recipe is great for anyone on a keto diet. It’s great melted over steamed vegetables or sliced over grilled meat. 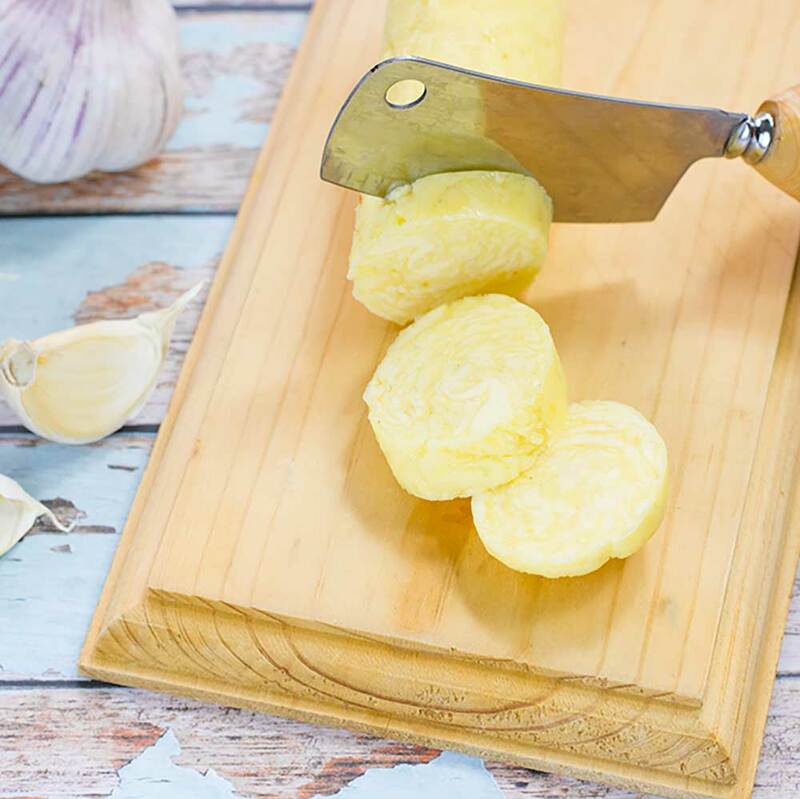 Finely grate the garlic cloves on a microplane and place into a mixing bowl. Add the softened butter, salt and pepper and mix well. Spoon the butter onto a piece of cling film and roll into a log shape. Set in the fridge for 1 hour before using. Another delicious butter to add to our collection! Our Classic Garlic Butter Recipe for Steak will boost the flavor of any meal. Get more Steak Butter Recipes Here. 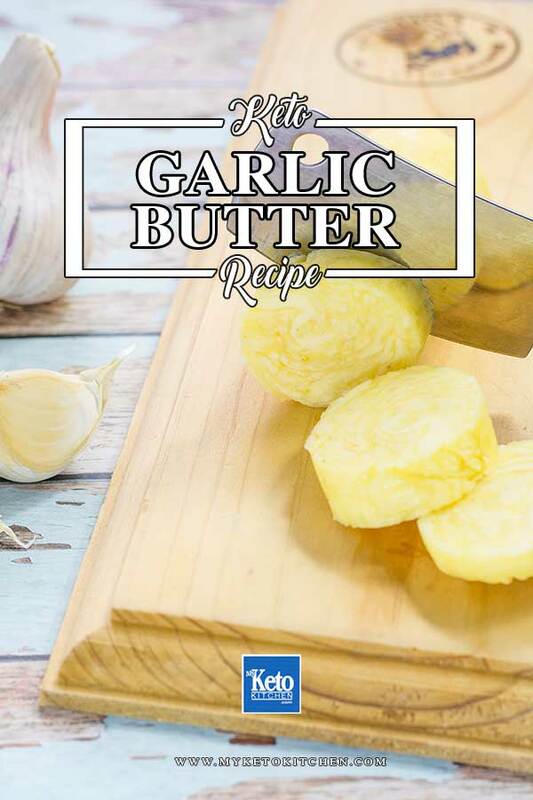 To make a larger batch of this Garlic Butter Recipe for Steak adjust the serving amounts above.